Where is the Tower and why was it built? 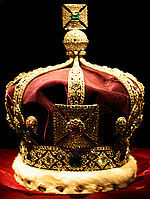 William the Conqueror defeated King Harold at the Battle of Hastings in 1066 and was subsequently crowned king. A few years later, having subjugated most of his new land, William started work on a citadel in South-East London, to awe his new subjects and to defend the entry to London along the River Thames. The Keep (the most highly defended part of the fortress) was the tallest building in England, and became known as the White Tower. What was London like at that time? 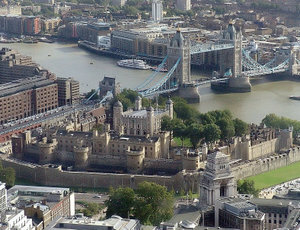 In the late 11th century, London was probably the largest city in Europe, with an estimated population of 10,000. The city was surrounded by walls (mostly built by the Romans) and could be walked across in about 20 minutes. What does the Tower look like today? The Tower is a complex of a number of buildings set within two rings of defensive walls and a moat. Today, it looks much like it would have at the end of the 13th century when the major building was completed (click the image above for a larger view). What was the Tower used for? The Tower was the residence of monarchs from the time it was built until the Tudor dynasty (about 500 years). It has also been home to the Crown Jewels since the early 14th century; was the location of the Royal Mint and the Public Record Office until the early 19th century; was an armoury for production and storage of munitions; was the location of the first Royal Observatory; and has housed a long list of prisoners including Thomas More, Anne Boleyn, Walter Raleigh and Rudolf Hess. Is there really a menagerie in the Tower? Not today, but the Tower was home to the Royal Menagerie until the 19th century, when the animals were moved to Regent's Park to what is now London Zoo. What about the ravens? 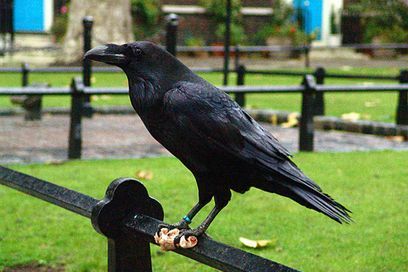 Ravens hold a place in many mythologies including Britain's (more about raven mythology in the sidebar to Raven Summer). According to medieval chronicler Geoffrey of Monmouth, King Bran Hen of Bryneich (born c.485), who died in battle, requested his head be buried on the "White Mount" as a talisman against invasion. Bran is the Welsh word for raven and it is said that ravens have lived there ever since. It was on this same hill that William the Conqueror built his citadel which became known as "The White Tower". Thus, legend has it that if the ravens leave the Tower of London the White Tower will crumble and terrible disaster will befall England. One of the Beefeaters, known as the Raven Master, has responsibility for the half dozen or so ravens who live in the Tower at any given time - and have been known to live as long as 44 years. Who are they? 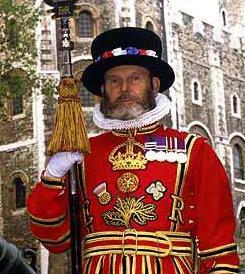 Beefeater is the popular name for a Yeoman Warder of Her Majestys Royal Palace and Fortress the Tower of London, and Members of the Sovereign's Body Guard of the Yeoman Guard Extraordinary. Today, their role is both ceremonial and practical - they are responsible for the security of the Tower including the Crown Jewels; they also take part in state occasions, act as tour guides and are, of course, a tourist attraction in their own right. The 35 Yeomen Warders plus Chief Warder are all retired non-commissioned officers from the Armed Forces with at least 22 years of service. Their numbers now include at least one woman but no Navy retirees as, historically, the Navy takes an oath to the Admiralty, not the Crown! What do they wear? 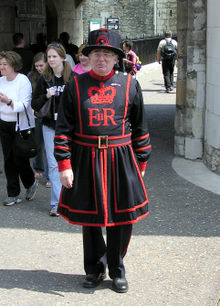 Usually, Beefeaters are to be seen in their "undress" uniform of dark blue with red trimmings which comes in three weights - winter, mid-weight and summer weight. On state occasions they wear red and gold uniforms in a design little changed since the Tudor period. Why Beefeater? The generally accepted story is that the monarch provided very generous rations to the Warders at a time when beef was a meat only for the rich man's table, causing the local population to come up with the derisive nickname. What's it like living in the Tower? Although the Tower is the most visited historic attraction in the UK with almost 3 million annual visitors, the 40 families who live inside its 18 acres describe it much like a small village, which even includes a doctor and a priest. Their houses are converted from stables, store rooms and and towers (of which there are 20 including the White Tower). The Beefeaters work a shift pattern of 7 days on, and two off. with a three-day weekend every third week and seven weeks vacation a year. This "beyond the book article" relates to The Tower, the Zoo, and the Tortoise. It originally ran in September 2010 and has been updated for the August 2011 paperback edition.